August 18, 2018 from noon to 5pm. 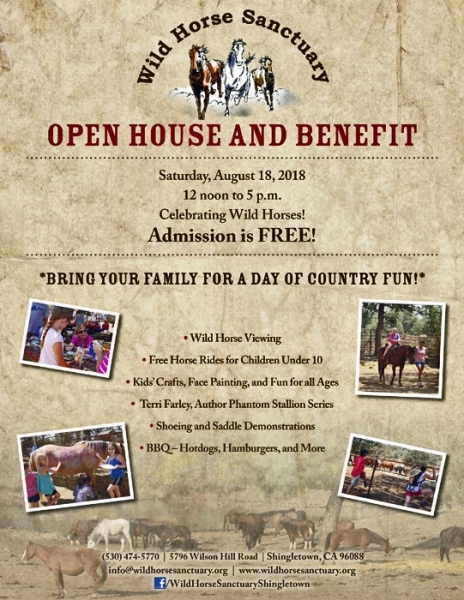 Join us for a day of country fun! * Admission and Parking are FREE. * Wild Horse Viewing * Free Horse Rides For Kids Under 10 * Kids Activities * Craft Vendors * Food and Beverages Other special activites are planned for this year. Stay tuned for all the details.